From around the world, cities and regions, civil society networks and businesses, nongovernmental organizations and institutions for research and learning, and many others, are taking action on climate change. The role of these nonstate and substate actors is increasingly being recognized in the new facilitative climate regime. Political theory to date has been surprisingly silent about the scale and prospects of these actions for low-carbon, climate-resilient, and sustainable transformations. 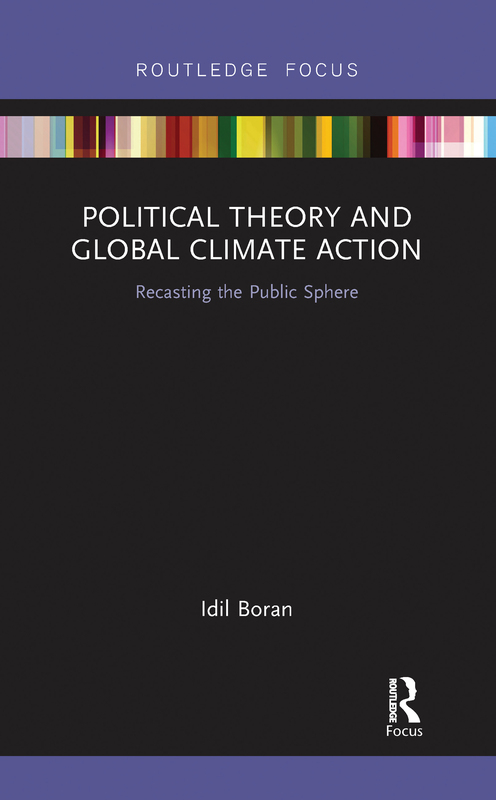 Idil Boran argues provocatively for the need for a widened scope of vision, one that has a broader public life of climate action at its centre. While acknowledging the role of the state and the multilateral process, Boran maintains that social transformation is as deeply and more continuously influenced by the engagement of a wide range of actors below and above the state, whose actions are often locally anchored and inescapably interwoven across borders. Bringing concepts of the public sphere from political theory into contact with leading scholarship on transnational climate governance, Political Theory and Global Climate Action launches an exploration sensitive to changing patterns of practice, focused on diversity of actors, driven to explore historically contingent conditions of possibility, and responsive to questions of equity and justice in the context of transformations. The result is a repositioning of political thought on climate change, engaging political philosophers, scholars of politics and governance, and drivers of climate action worldwide at nonstate and substate levels interested in the social and political meaning of their engagement.